WebEx is a a cloud based "Software as a Service" offering. The WebEx brand is owned by Cisco Corporation. For companies that purchased ten or more "Hosting" slots they create a custom branded WebEx website for managing the "Hosting" slots. 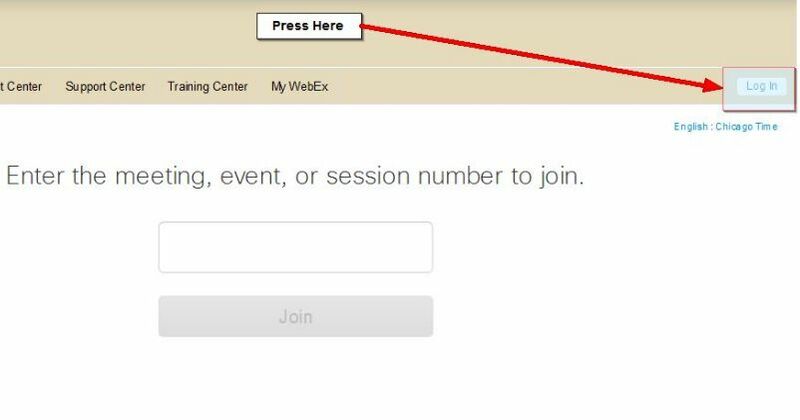 A Hosting slot to WebEx is a signed in user who has the ability to schedule or initiate a WebEx session for the purpose of conducting Web based audio/video conferences over the Cisco WebEx cloud based conferencing system. Participants who join the meeting are not individually licensed but receive web browser delivered software download packages that enable their internet connected workstation to use any audio/video conferencing equipment that may be attached to participate in the web meeting. 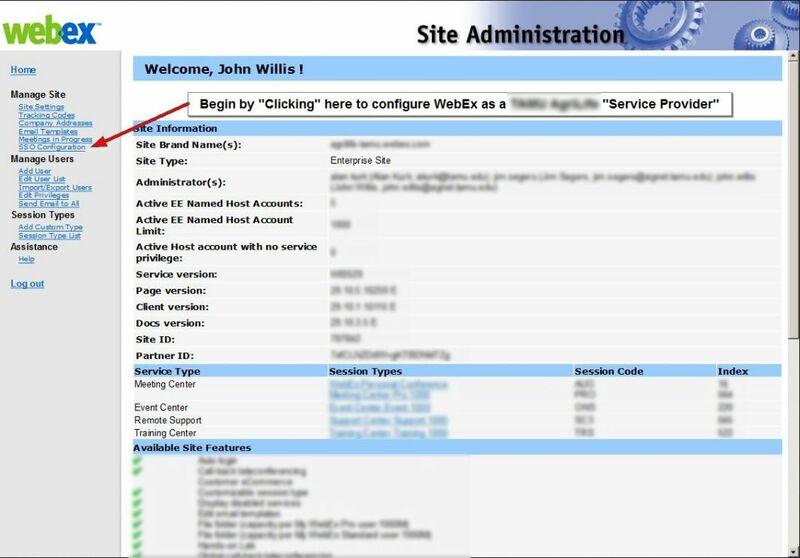 Customers of WebEx often already have an authentication system such as Active Directory, and often use ADFS or an OASIS style SAML2 compatible Single Sign On service in order to avoid proliferation of account management issues and to allow members of their domain to remember only one set of logon credentials. Shibboleth is a commonly used SAML complaint SSO. This is an example with Shibboleth 2.4.2 on RHEL6 connected to a Windows 2008r2 Domain. Then press [Update] to save the settings. The WebEx website needs to be added as a Service Provider to the Shibboleth relying-party file. 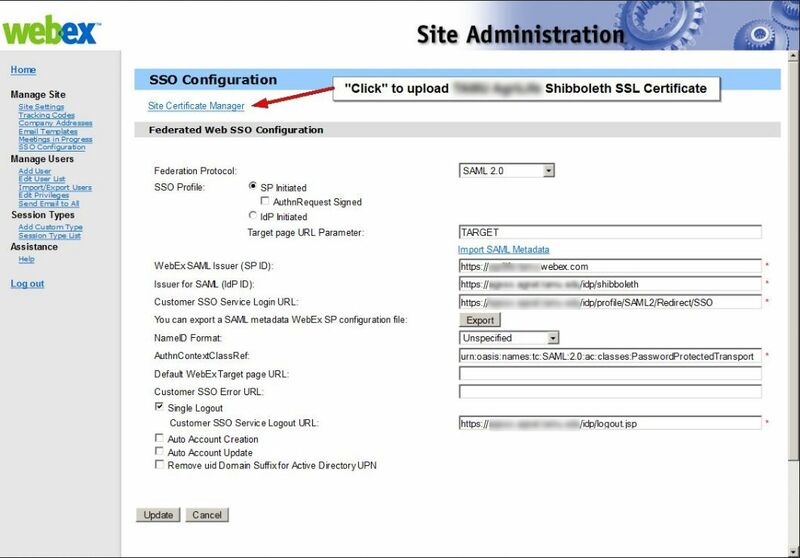 Where id = "Service provider Id for the WebEx website"
Where provider = "Identity provider Id for the Shibboleth website"
In the same file the SP metadata file needs to be loaded on startup of the Shibboleth service. The attributes required to be returned to the WebEx Service Provider after a successful login to the Shibboleth site need to be defined in the attributes-resolver file. The attributes need to be released by an attribute filter policy in the attribute-filter policy file. Services need to be stopped and started to pick up the changes. It will take them to their familar Shibboleth SSO logon page for authentication. After authentication it will return them to the same WebEx Service Site and if their UID matches one created in the WebEx magement page for this site. They will be allowed to schedule or initiate a WebEx meeting and send out invitations. Additional options can be enabled for autoprovisioning Shibboleth accounts in the WebEx site or tracking and updating account authorization versus accounts that have been enabled or disabled in the Shibboleth IdP and hence Active Directory. Which merely requires returning additional attributes.